Both of my boys graduated and I am so proud of them! 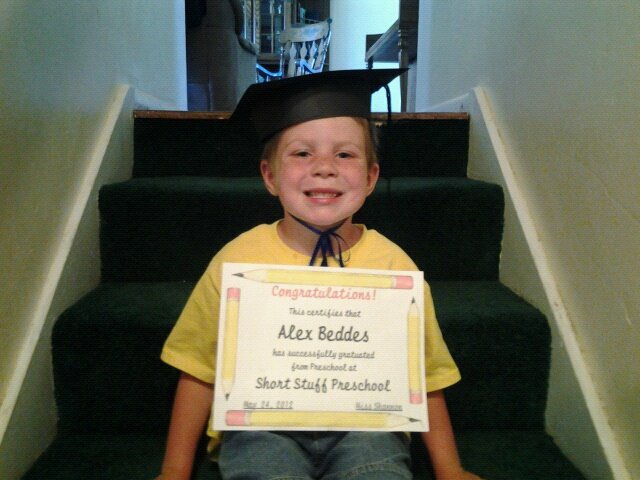 Alex graduated on May 24th from preschool. He is so excited to go to kindergarten next year. Benjamin graduated on May 31st from kindergarten. Congrats to your graduates! They are looking so grown up, I can't believe it!